Happy Sunday, everyone! 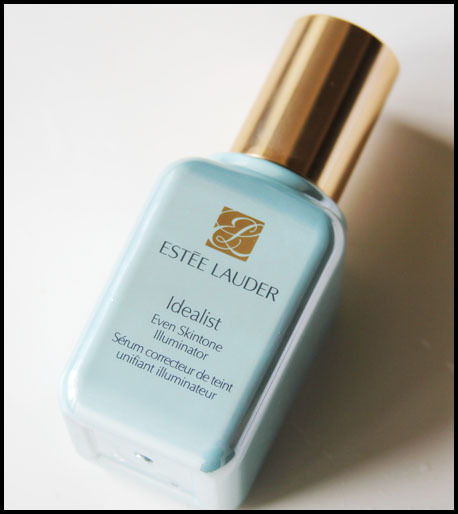 The Estée Lauder Idealist Even Skintone Illuminator has been everywhere lately - from billboards to magazines - and I am finally getting around to posting a review after trying it out for myself! 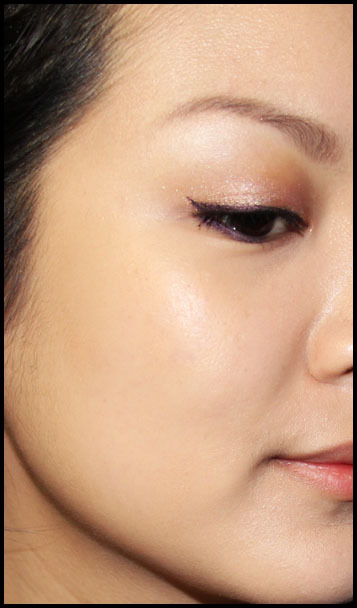 Triple-Optic Technology provides skin with a brighter, more luminous look from the very first application. CorrectTone Technology visibly reduces uneven skintone in 2 weeks, while anti-oxidants help prevent its re-appearance. Imagine skin so incredibly clear, even-toned and radiant, you have nothing to hide. Proven gentle and effective for all ethnicities. The bottle has a dispensing pump, which I find extremely helpful because it keeps the bacteria out and I can control just how much I want to dispense from the bottle. True to the product description, the serum inside is very fluid and light, and applies very nicely, without leaving a greasy film behind. As for the immediate effect it gives my skin? A very subtle, dewy look. It helps so much with making my foundation and powder look more natural and gives my skin a healthy glow. Here are a couple of pictures for comparison - the picture on the left being without the product, and the one on the right, with. I'm not sure there's much of a difference, actually, but in real life, the product makes your skin look a lot more dewy and supple. This product costs AUD 150 for a 50ml bottle, and AUD 105 for a 30ml bottle. This is definitely a product to check out if you've got slight discolouration, or if your skin needs a little pick-me-up in the mornings!